The ætgeir appears in Njal's saga. Before even discussing what is written there we should examine the dating of this work. Njal's Saga is dated to the late 13th century. It is considered one of the most polished examples of the genre. Thus, from the outset we have a discrepancy of 200 or more years between the textual references to the weapon and when it was supposed to have been used. Would one consider an account written today, using no historical sources, of an incident in the Napoleonic Wars reliable? Notice any parallels with quest games ? 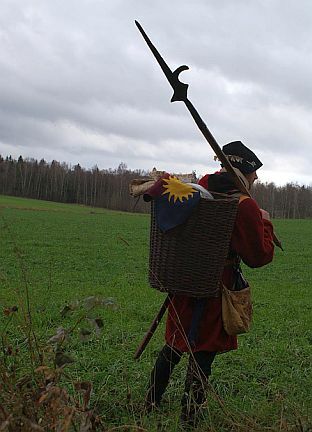 Later in the story Gunnar uses the ætgeir to kill many men. 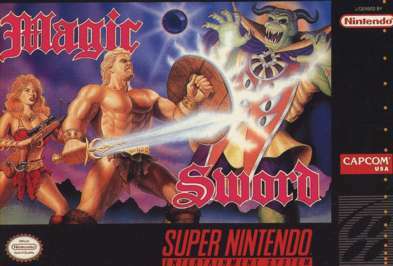 He uses it in one hand, he uses it at the same time as a sword in the other hand, he throws it. He uses it in two hands. He uses it at the same time as a shield or without. We still do not know what is the nature of the weapon except that it is deadly and magical. When Gunnar is killed, the weapon is conveniently buried with him and leaves the story. The story - or rather the author - needs the ætgeir to signify Gunnar as a special character and to add some exoticism and occult detail to the narrative. It helps explain his effectiveness as a fighter and is an embodiment of his restraint and his right. When he does not have the weapon with him he does not fight. He turns the other cheek. When he has the weapon with him he is ruthless and deadly. This weapon is a good example of how a combination of medieval fantasy and erroneous comments from modern authors combine to create a myth which has no place in the Viking Age. The weapon's name is a clue to the fact that it is an anachronistic element in the saga stories. This Germanic name is older than the Viking Age and it just means 'noble spear' or 'very speary spear'. (Keller 1906). This pre-Viking Germanic word is put to use by skilful medieval saga authors in embelishing their characters. Next, we have to examine just what the weapon looked like. It is isgnificant that it is made by magical means. It has a spirit in it which sings when it is to kill a man. It is the property of an arch baddy. Hallgrim, it's original owner, has to be despatched by Gunnar so that the hero can get his hands on a magical weapon which suits his status. Other than these details we are not told what the weapon looks like! 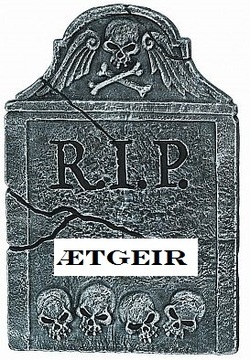 WHERE IS THE ÆTGEIR IN ARCHAEOLOGY ? We can find swords in the archaeological record. We can find spears. We can find throwing spears and heavy spears. We can find the spears depicted in manuscripts. We can find sæxes. We can find broad-bladed axes. All mentioned in texts from the Viking Age and later. It is impossible to ever find an ætgeir because we do not know what it would look like ! The ætgeir is a metaphor. In a Christian age it stands for deadly evil. The wrath coming from sin. It should be wielded at literature seminars rather than reenactment battles.